The weekend and overnight news surrounded Chinese growth downplay and the North Korean missile tests. The former certainly helped the Shanghai and Hang Seng market with closes of around +0.4% whilst the later hindered the Nikkei closing -0.5%. China Parliament opened at the weekend with the Premier Li calling growth target lower to around 6.5%, which was very much anticipated within market participants. Stability and concerns over protectionism were key concerns expressed upon the announcement of the growth target. In late US trading the Hang Seng futures were better by around +0.5% with Nikkei and China300 almost unchanged. Interesting, and probably expected was the CNH trading a touch above the 6.9000. A full agenda this week for markets from ECB, NFP’s out of the states, UK Budget and all while awaiting the Federal Reserve. Not really surprising volumes are light’ish given all of the above. Talk last week that Deutsche would be raising more cash were finally confirmed and as a result DB shares closed down almost 8% on the day. There is also much muttering that the ESM has tabled a proposal (Bloomberg storey we are told) to create a publicly funded “Bad Bank”. Rumour is Germany is withholding its support for the idea – I guess they have enough already! all this whilst key European leaders gather to discuss the growing unrest surrounding political uncertainties. All core bourses closed lower with losses of around -0.5%; IBEX was the exception closing a tad higher on the day. The Euro was also heavy trading -0.4%. 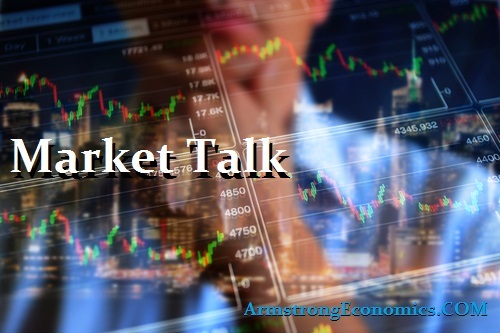 The market is fully ready for the FED to make their move next week and only a disastrous NFP on Friday could possibly derail that – but unlikely they are concerned over one number; 190k remains the market consensus. After the initial weakness at the open core indices spent the balance of the day climbing back into the close with a broad decline at down -0.3%. Airlines had a tough day across the board, also SNAP lost 12% today. DXY last seen 101.66 (+0.15%) – GBP, Euro and JPY all loosing ground. FED action could start to accelerate this move. 2’s closed unchanged at 1.31% with 10’s 1bp higher (yield) at 2.49%. German 10yr Bund closed 0.33% (-2bp) widening that spread to +216bp. France closed 0.95% (+2bp), Italy 2.15% (+6bp), Greece 6.92% (+6bp), Turkey 11% (+3bp) Portugal 3.91% (+3bp) and UK Gilts 1.21% (+3bp).